Back in 2004, when I read Alex Ross’s New Yorker profile of Bjork, I was largely unaware of previous criticism of her last album, Vespertine. Ross’s profile introduced me to Bjork’s extensive and thoughtful creative process, painting a vivid portrait of the artist crafting beats and sounds on her laptop, a catalogue of tunes to weave together for the final product. That effort produced a Grammy nomination for best alternative rock album in 2002. Since then I’ve admired the artist’s intense work ethic and the care she takes to make her masterpieces. Pitchfork: The world has a difficult time with the female auteur. B: I have nothing against Kanye West. Help me with this—I’m not dissing him—this is about how people talk about him. With the last album he did, he got all the best beatmakers on the planet at the time to make beats for him. A lot of the time, he wasn’t even there. Yet no one would question his authorship for a second. If whatever I’m saying to you now helps women, I’m up for saying it. For example, I did 80% of the beats on Vespertine and it took me three years to work on that album, because it was all microbeats—it was like doing a huge embroidery piece. Matmos came in the last two weeks and added percussion on top of the songs, but they didn’t do any of the main parts, and they are credited everywhere as having done the whole album. [Matmos’] Drew [Daniel] is a close friend of mine, and in every single interview he did, he corrected it. And they don’t even listen to him. It really is strange. It is really strange. As if critics and journalists are programmed to celebrate exceptional achievements of men. Wonder where they got that from? 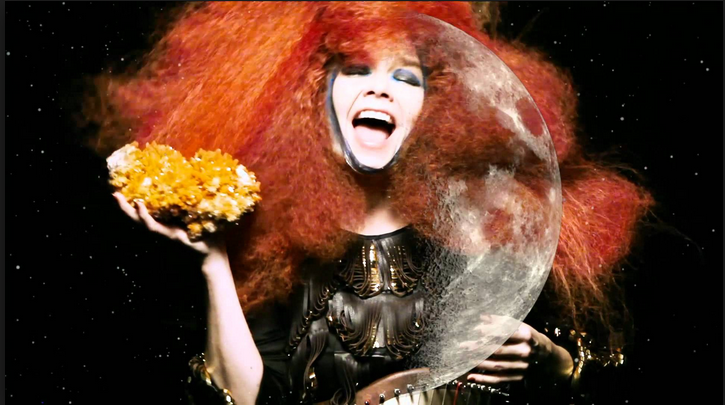 Bjork is of a certain generation that mostly believes in the idea of a meritocracy — do the work and shine in doing the work and others will notice. And she herself worries that to push back against this repeated slight, to assert any more authority, is to risk appearing to whomever — male or female, sexist or not — as “pathetic” or “desperate.” But this is where we witness how sexism replicates in culture. In covering her magnificent achievement in music making, critics were simultaneously trying to erase her from the achievement. When I met M.I.A., she was moaning about this, and I told her, “Just photograph yourself in front of the mixing desk in the studio, and people will go, ‘Oh, OK! A woman with a tool, like a man with a guitar.’” Not that I’ve done that much myself, but sometimes you’re better at giving people advice than doing it yourself. I remember seeing a photo of Missy Elliott at the mixing desk in the studio and being like, a-ha! The optics seem to always matter. Seeing is believing — if there is a picture of it, we can embrace it as fact. Maybe this is the real problem: that our society relies heavily on pictures as proxy to solve our culture wars. We need to see women photographed in the workplace, doing manual labor, building airplanes, being executives, to make it more than true, extra real, because here’s the photograph to prove it. The repetition of seeing multiple images of women in a variety of roles breaks old paradigms and normalizes new identities. When we can imagine female bodies occupying positions of creative authority and power, more of us can follow suit. We can believe women are meritorious in their accomplishments. Ava DuVernay, the black woman director managing a film set. Kathyrn Bigelow sitting opposite film executives at major studios negotiating the terms of her film’s budget, resources, team, and later its distribution. Beyonce giving production crew notes days or weeks before the show runs, sitting in the recording booth, sitting with engineers perfecting the production of her album. Missy Elliot operating the controls behind the production of hers or someone else’s album. Susan Rice advising top military brass. She also speaks honestly about how she learned to validate her male collaborators in order to get the work done: “I’ve been guilty of one thing: After being the only girl in bands for 10 years, I learned—the hard way—that if I was going to get my ideas through, I was going to have to pretend that they—men—had the ideas.” I’ve been guilty of applying her formula myself in previous jobs — used soft power, gently infusing my suggestions so that men would adopt them as their own, in order to convey my ideas and solutions to thorny problems. On my most frustrating of days when I worked in one very male-dominated industry, there was a high probability that I was blasting “Army of Me” in my headphones to prepare myself for the kind of office power dynamics I had to face. “Every woman knows what I’m talking about. 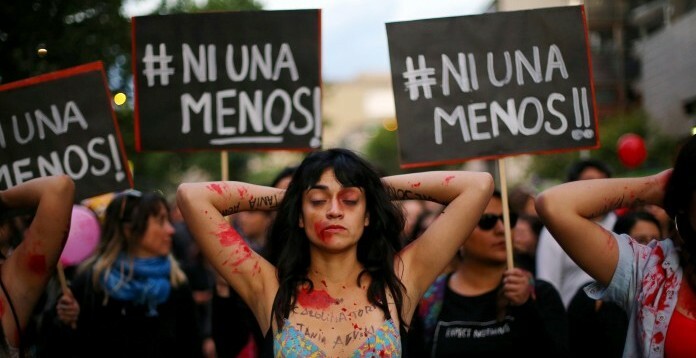 It’s the presumption that makes it hard, at times, for any woman in any field; that keeps women from speaking up and from being heard when they dare; that crushes young women into silence by indicating, the way harassment on the street does, that this is not their world. It trains us in self-doubt and self-limitation just as it exercises men’s unsupported overconfidence. But Bjork’s right in speaking out and connecting to the zeitgeist: “I want to support young girls who are in their 20s now and tell them: You’re not just imagining things. It’s tough. Everything that a guy says once, you have to say five times.” I love her so much for her offering us another gift of music, and I’m so glad she’s finally speaking her truth to power about some of this “sexist evil” in order to smite it.